It took a fluffed penalty-kick attempt by Jordan Rhodes around the hour mark to kick-start this encounter into life. Prior to this we had endured a fairly turgid, at times bordering upon the brutal, encounter with the few opportunities which arose being wasted by certain Blackburn players’ inability to head the ball in the direction they wished; step forward Messrs. Hanley and King. But, following Rhodes' penalty miss, both sides appeared to remember what they were ultimately there to do – entertain us folks who pay their wages, and set about each other with gusto, producing some exhilarating end-to-end play. Chances were created and squandered with at times breathtaking frequency but, for all the expended sweat and toil, the score line remained resolutely blank. 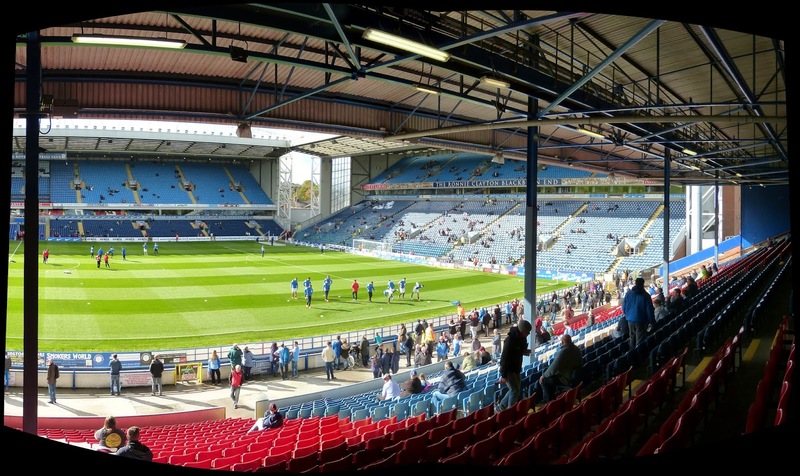 I felt Blackburn probably on the balance of play deserved a win this afternoon. Grant Hanley and Shane Duffy looked a solid defensive pairing, Tom Cairney never stopped beavering away in midfield, and up front the team boasted in Josh King and Rhodes a talented duo. One does not like to criticise any player – particularly when I know he can play this sport far better than I ever could – but I have to say, I think I have rarely seen a player look so out of his depth as Chris Taylor did when he came on this afternoon. And whilst I acknowledge he was only on the pitch for less than ten minutes, pretty much every one of his second touches was an attempt to regain possession. As for Huddersfield, well this was a marked improvement upon the pasting I had seen them take at Elland Road two weeks previous. But they still looked sorely toothless up front. I am not sure quite what the question is, but I cannot image Grant Holt is the answer. His most memorable contributions to proceedings were an attempt to chop Craig Conway (I think it was) in two, before going on to concede the second half penalty. In Harry Bunn and Sean Scannel the visitors do have a pair of skillful and pacy wingers, even if the latter appears frustratingly prone to making plain old bad decisions. Blackburn's Shane Duffy, who rather impressed me, heads clear. Grant Hanley heads past when scoring looked rather easier. 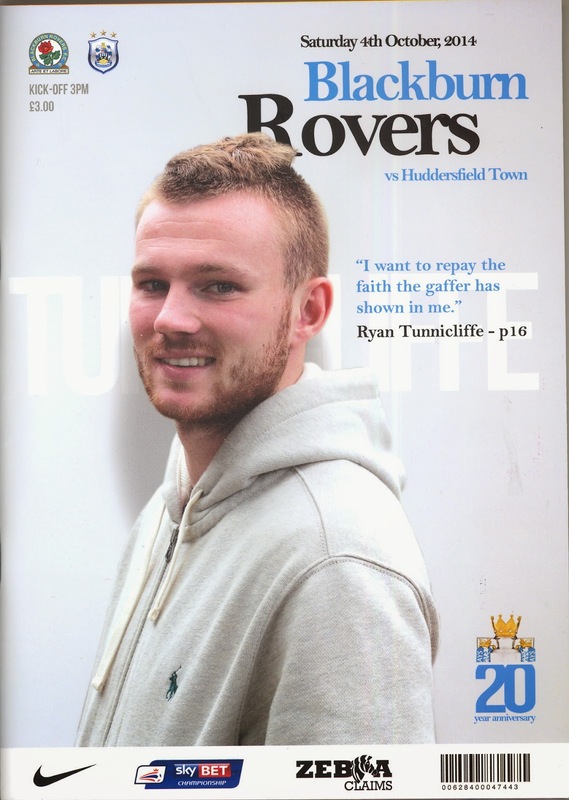 Jordan Rhodes gets to know Huddersfield's Joel Lynch rather well. 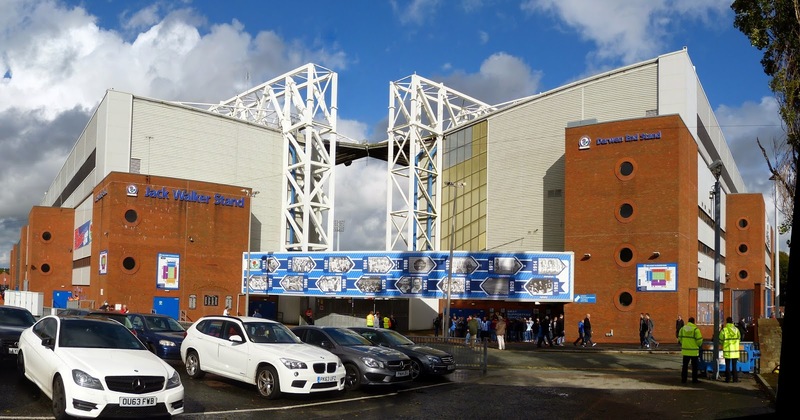 Unique features are becoming more and more difficult to find at football ground these days, but the Riverside Stand at Ewood Park features an odd pathway in front of the stand, from which the seats are accessed. I knew this from seeing TV footage of disgruntled Rovers fans streaming out early along it – mostly during Steve Kean’s unhappy tenure, I have to say. What is a Half Time Turnstile?